Should I Take a Breathalyzer Test in New York? | Raw Law | Law Offices of Adam M. Thompson, P.C. If you are ever stopped on suspicion of driving under the influence, or DUI/DWI, you are likely to be overwhelmingly nervous. That is normal. However, it is important to calm down and make rational, intelligent decisions. Knowing what to expect can help. One decision you will have to make should you become a suspect in a New York DWI/DUI case is whether you should take a Breathalyzer test. You may not have much time to figure out what to do if you are arrested. Therefore, spending some time now learning about the corresponding options and consequences, such as the penalties associated with refusing the breath test, should help you decide what to do. New York has an informed consent law which essentially says that, by operating a motor vehicle within the state, you have given your prior consent to submit to a chemical test should you be arrested for DUI/DWI. Despite this, you do have the right to refuse the test; however, there are consequences to your refusal. In a New York DUI/DWI case, the results of a Breathalyzer test can be used as evidence against you at trial to show that you were operating a vehicle with a breath alcohol content, or BAC, over the legal limit of 0.08 percent. Because the results can be used against you, it may seem like a good idea to refuse the test. But if you refuse, you will incur a $500 civil penalty, as well as face a one year license suspension. If you hold a commercial driver's license (CDL), your fine increases to $550 and your license suspension goes up to 18 months. Moreover, if you have either a previous chemical test refusal on your record or a conviction for a DWI/DUI charge within the past five years, the fine increases to $750 and your license suspension increases to 18 months. If you have a CDL, you face a permanent revocation of your CDL for a second refusal. Finally, it is important to understand that the results of a chemical test are not essential for the State of New York to convict you of an alcohol-related driving offense. Though results showing a BAC level of over 0.08 percent certainly make it easier for the prosecutor to convict you, it is possible to convict you without the results as well. It is a very difficult decision to make. Keep in mind that whenever a prosecutor does not have forensic evidence to use against you at trial, such as a breathalyzer result in a DWI/DUI case, their ability to prove you guilty beyond a reasonable doubt is seriously hindered. If you can live without your license by refusing, it may be worth it to avoid a conviction later. If you have specific questions about New York DUI/DWI laws or about your options regarding pending DUI/DWI charges, contact experienced New York criminal defense attorney Adam Thompson as soon as possible. You have rights and should use them! 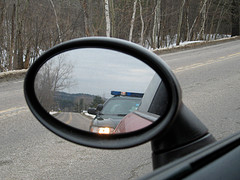 You are entitled to have an attorney present and representing you throughout the proceedings to even the playing field; however, you must exercise your right to counsel by telling the prosecutor or police officer that you do not want to answer any questions until you have an attorney with you. If you do not ask, they will not get one and they will keep questioning you until they get something. Please check out our representative cases page and testimonials and referrals page to see specific information regarding past cases and what our clients and other attorneys have to say about our legal services. Please feel free to contact The Law Offices of Adam Thompson, P.C. for more information about our experience in any legal area anytime at 855-497-2326.